23" wide x 11.5" deep x 30" high. Includes broom, shovel, tongs, and poker. 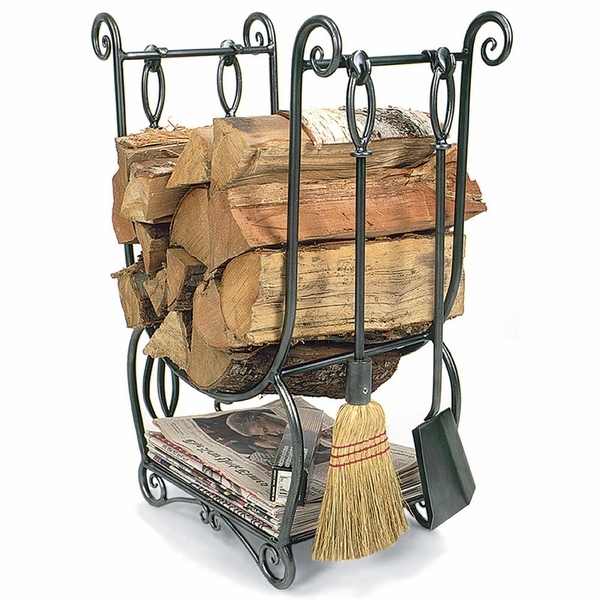 Our Minuteman LCR-07 Country Wood Holder with Tools will make an outstanding addition to your fireplace and hearth! Measuring 23 inches wide by 30 inches high, this Country Wood Holder stores not only your wood, ready to put into the fireplace, but also your fireplace tools. This version comes in our popular graphite finish. It also includes a bottom shelf to store kindling and comes equipped with a rustic broom and durable shovel. It not only looks great, it's durable, sturdy, and is built to hold lots of wood right where you need it! What are the lengths of these tools? Per the manufacturer, the tools are just over 25 inches in length. What are the dimensions for the section that holds the newspaper? Per the manufacturer, the bottom shelf measures 21 inches wide, 11 1/2 inches deep, and 7 inches in height. The sides do taper out slightly to follow the decorative curve of the frame. I was hesitant to spend this much on a log holder; however the quality and sturdiness of this product is incredible. I actually have a small basket on the bottom shelf that I keep kindling in. Not only great quality but beautiful looking next to the fireplace! I was extremely satisfied with the entire process! Love this rack and tools! I think the part I love most is the paper rack under the wood rack. Nice unit. Sturdy. Tools are great. Only problem was not sitting flat on floor. A little adjustment was required. Well made, easy to use, everything needed to tend fire at your finger tips, worth the price. I made a good decision investing in The Minuteman. I compared side by side with a box store set. No comparison. My Minuteman should last me my lifetime and be passed to the next generation. ProsNo Assembly, sturdy, esthetic, highly functional. Our fireplace area used to look so cluttered with wood piled here and there and implements falling over on the floor. This took care of that, and Im really glad about that! Also, it doesnt require any assembly. My fireplace area is pretty small, so I really like the fact that this unit fits in my small space. It looks great and is holding up really wellyou can tell its well made. My only disappointment is that bristles keep coming off the broom. But, hey, nothings perfect. Overall, this is a great product. I can recommend this product to you with no qualms. I thought when I ordered it I might not like it when it got here because it might be rickety and unstable after it was assembled. But that turned out not to be the case. It looks great and works just as well as the advertisements say it will. 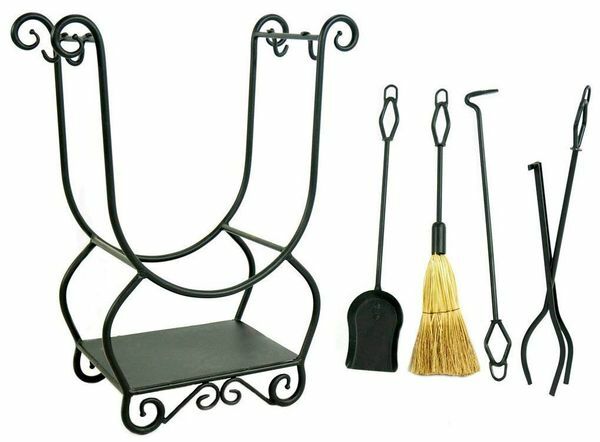 The broom we received isnt exactly like the one in the picture, but thats no big dealits obviously made well, as are the tools and the rack itself. The tough little shelf on the bottom is an added bonus. I dont have much to say except that its so sturdy it will probably still be looking good and working when I am old and wrinkled and gray and not working. And Im only in my twenties. Ive had this a few months, and so far its done a good job for me. Im really glad I have it. The construction of it is solid. I really have to hand it to whoever designed this product: it looks and works great. I would think it would match the dor in nearly anybodys house. I like the sturdy little shelf for papers or other objects. I like the fact that you can hang the tools on the side of it. Its everything you need for your fireplace in one compact location. Great product, no complaints! I was so happy when this arrived and I saw how well it matches the rest of my living rooms dor! We fill it up once a day and use the wood from it in the evenings. The tools that come with it are of great quality. The price is great, and I expect the whole thing to last for years! You can tell from looking at this cart that its great quality. We heat our entire home with wood, and we fill the rack up about once a day and that does it for us. Weve had it for more than two monthsno complaints yet! The tools work great too, and I really like the little shelf on it too. We love having this in our den by the fireplace. Its well constructed and compact. Very nicely designed. Terrific piece of furniturewe recommend it to you! This wood holder is just exactly like the companys ads say it is. Good quality, and were proud to have it in our home. Were happy we ordered it, and we recommend it to others too! This wood holder is strong, and it does the job. I like its appearance tooit looks nice in our home. If youre thinking about it, I would urge you to go ahead and get one, and I think youll be happy you did. These tools and carrier arent terrifically expensive, but they do cost more than some other brands that I looked at. But as my dad used to say, You get what you pay for. These are tough and durable. I like the amount of wood the carrier holdsits just right, just enough to save us steps without being too much and overwhelming the room. I really like this set, and Im glad we got it. 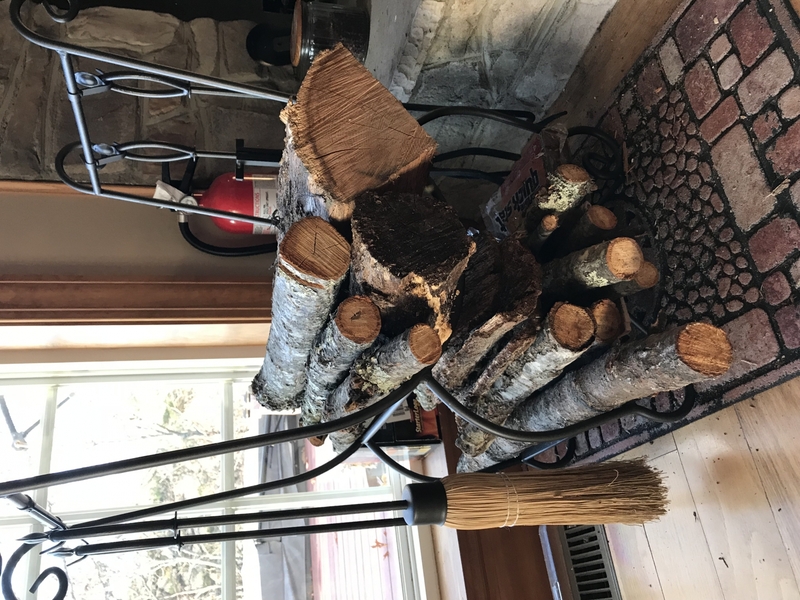 Mom was looking for some way to organize our fireplace and get it looking nicerwithout wood all over the floor and fireplace tools getting mislaid and falling over all the time. We found this product and ordered itwow, were we happy when it came! It was better than we expected. All we had to do was hang the tools on itit was already assembled. You can load it up with wood and it just stands there, it doesnt wobble or anything. We like it! We always get compliments on our wood holder when we have people over to visit. (I think our neighbors are a little jealous! Well, they should order one for themselves!) Everything about it seems sturdy, including the shelf and the tools that come with it. Were very pleased with our purchase.